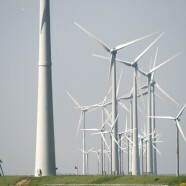 Sustainable urban planning is a challenge for planners and city managers. It fits in well with other goals and objectives in the field of urban planning, urban design and urban management, such as preserving and improving a city’s identity and values while, at the same time, making it attractive to its inhabitants, visitors and talents as well as to businesses, developers and investors. This goal is common to all contemporary and competitive cities around the world and it is not only a basis for their local economy, it is also crucial for their survival. Amsterdam, The Hague and Rotterdam are cities that combine sustainable urban development while focusing on their identity and values, and simultaneously A wide variety of conditions, contexts and processes determines the resourcefulness and the resilience of cities. A sustainable city is a city that is able to work effectively on energy efficiency, can make the transition to sustainable energy and water management, can reduce or reuse waste products and can reduce the effects of climate change. However, sustainable urban planning is more than a technical approach and there are other equally important values besides sustainable development. The values of a sustainable city are closely related to the values of an inclusive city, a competitive city and a livable city. An inclusive city gives people a sense of place, of belonging, an identity and the security of social networks. It provides identification and makes one proud of its history, community, culture, traditions, heritage and education. Identity, together with attractiveness, is also a major driver for a competitive city. A competitive city is considered successful, prosperous, vital, and full of opportunities for businesses, investors and institutions. A livable city provides its residents and visitors with interesting, pleasant and safe public areas, an efficient public transport system and a healthy and green environment. Combining the values of sustainable, inclusive, competitive and livable cities is a major challenge for planners and city managers. 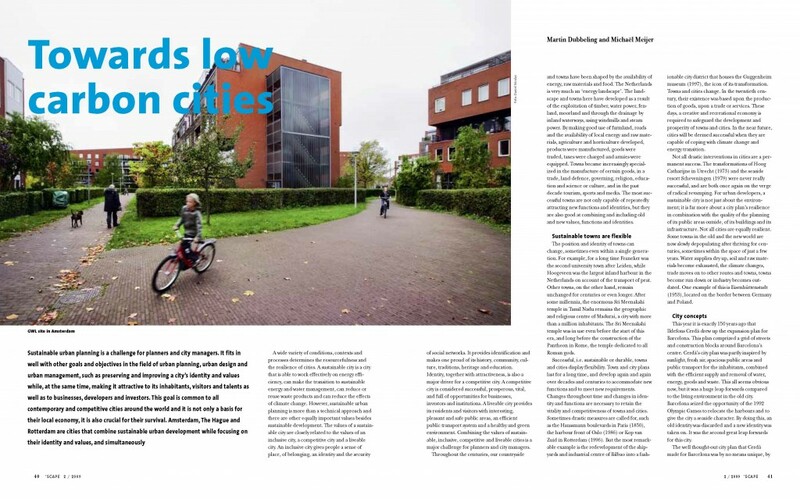 The article ‘Towards low carbon cities’ by Martin Dubbeling and Michaël Meijer is published in ‘Scape, the international magazine for landscape architecture and urbanism 2/2009, page 40-45.